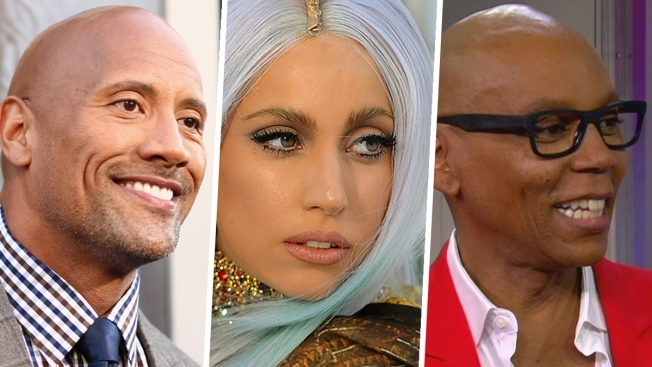 The Rock, Lady Gaga and RuPaul. What do Dwayne "The Rock" Johnson, Blue Ivy Carter, Howard Stern, RuPaul, Yoko Ono, Donald Trump Jr., Steve Bannon and "Harry Potter" transfiguration professor Minerva McGonogall all have in common? Each of them got at least one write-in vote in New York City's Democratic mayoral primary. The wrestler-turned-actor, famous daughter, reality stars and fictional character were among some of the most colorful of the thousands of write-in candidates in the certified results for the Democratic primary on Sept. 12. Mayor Bill de Blasio handily won that race, beating four officially declared primary opponents. But that didn't stop voters from picking their own candidates -- including several former mayors. Michael Bloomberg, who served three terms as hizzoner from 2001-09, had 242 votes. His predecessors, Rudy Giuliani and David Dinkins, also got several votes. Even Ed Koch, who died in 2013, and Fiorello La Guardia, the mayor during much of the Great Depression and World War II, got multiple write-in votes. Other political figures also got write-in votes, including President Donald Trump, Hillary Clinton, Vermont Sen. Bernie Sanders, former president and first lady Barack and Michelle Obama, New York Sen. Chuck Schumer, Gov. Andrew Cuomo, convicted former Congressman Anthony Weiner and former New York State Senate Speaker Sheldon Silver. Plenty of celebrities were also represented: Bruce Springsteen (whose name was mispelled), Lady Gaga, Snoop Dogg, Bill Nye, Kanye West, former Knick Charles Oakley and Yankees legend Derek Jeter all also got at least one vote. But there was one common write-in vote that didn't appear on a single ballot on primary day: Mickey Mouse. See the full rundown of write-in candidates on the New York City Board of Elections' website.